3 Singapore #GirlBosses on the Power of Love and Tiffany & Co.
As a brand, Tiffany & Co. is committed to honouring lasting love and commitment in all its forms and – surprise, surprise – this is something The Wedding Scoop lives for. We couldn’t think of a better way to do this than to speak with 3 of our favourite female entrepreneurs from Singapore, who inspire us every day balancing their successful businesses and family commitments. We asked Jaime Lee, the “queen of the flatlay” and founder of popular stationery brand The Paper Bunny, Rachel Lim, co-founder of beloved homegrown fashion label Love, Bonito, and celebrity musician and entrepreneur, Aarika Lee, to share their thoughts on what love, in all its forms, means to them. When did you realise he was “The One”? I don't think there was just one point of revelation, but every time I see the effort he puts into becoming a better person and to be a better partner to me, I know I've got a keeper. I love that he is many things I am not, and in that way he fills up my gaps and ties up my loose ends without complaining. It frees me to do the things I am good at, and that means a lot to me. How has your relationship with your partner changed now that you’re a parent? It definitely is harder to find time to spend quality time together given that we are busy with our child when he's awake and usually working after he sleeps. We do have to make extra effort to pry ourselves away from work and the child to work on our relationship. How do you express your love for your partner despite your many obligations as an entrepreneur and parent? Despite an extremely hectic life, I try to always remember that our love comes first. Despite work and parenting, I express my love by ensuring he is taken care of as well, such as making breakfast every morning, and spending time to share my thoughts, hear about his day and engage him in conversation often. What does Tiffany mean to you, and how did you feel when you received a Tiffany? My husband gave me my first blue box when we were still dating - a Tiffany bracelet. It meant a lot to me and I felt extra special that day. What are your favourite activities together? What is it about your partner that attracts you the most? What does Tiffany mean to you, and why did you decide on a Tiffany wedding band? It’s a classic and we love the variety of designs available. How did you select your Tiffany wedding band? It was love at first sight, so it was easy! What are some challenges/hurdles that you’ve had to overcome in your relationship? We both travel quite a bit for work so having to intentionally set aside time for each other is vital. How did you meet and when did you realise you wanted to start a family? Kev and I met at a Temasek Poly open house event. We have a mutual friend who asked us to go check out Kev’s performance since we were there. We were introduced that day but didn’t really get to talking much until Kevin asked me to join a singing/rap contest with him a couple of months later. To cut a long story short, we didn’t win the contest but we kept in touch after. I left to Melbourne for school, Kevin went to army, and we pretty much went about our lives as friends. In 2006 I graduated and came back to Singapore and in that same year, Kevin called me and said he wanted to start a band. I said yes and that’s when our journey really began. We became really good friends over the years and realized we shared many similar life goals. Having a brood of kids was one of them so we always knew we wanted to start a family early on. What attracts you to your partner now, that you didn’t realise before you became a mother? Seeing him with the kids. He’s an amazing father and seeing how patient, loving and attentive he is toward them makes me fall in love with him even more. My father was a very present and loving dad and I love that my children are growing up experiencing the same affection I did. How do you and your partner each express your love? We are the annoying touchy couple hahah! We also talk to each other a lot - the time that we give each other is also one way we express love. My mom gave me a Tiffany’s Mesh Ring when I was 18, and every significant year after she would gift me something from Tiffany’s too. She started gifting Tiffany’s to my siblings as they got older as well so we’ve all grown up holding those pieces (and the brand) close so our hearts. Tiffany’s has always marked significance in my life. How has your relationship with your partner and family changed since you became a parent? It’s definitely gotten more challenging and time as a couple becomes so much more precious. But parenting has also revealed new depths in us and brought us closer. Even though the kids are up and in everything we do, having them has strengthened this partnership we’ve built over the years. 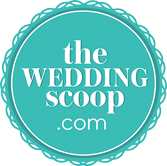 We hope you found these interviews as inspiring as we did, Wedding Scoopers, and may you experience many of your own “Tiffany moments” that fill your heart with love, from your proposals and weddings, through to your married lives and precious family memories. Have a Tiffany moment to share? Share it with us by dropping us a direct message on our Facebook or Instagram page!